Frank Sofia from Honey Brook, PA has luck on his side. He left five reviews in the Month of February and his winning review was for a Wiha SoftFinish extra heavy duty slotted and phillips screwdriver set. “Excellent design, indeed very heavy duty. Fits very well in my hand and well balanced. Probably the last set of drivers of this nature that I will ever need. 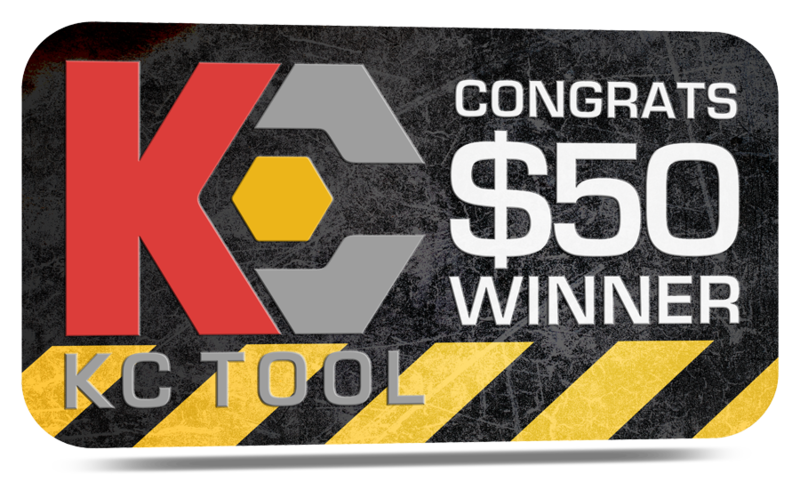 I would like to mention that KC Tool shipped quickly and the fellow on the live chat was extremely patient and helpful! Will purchase from this company again. Congratulations Frank! Thanks for leaving your reviews and your kind words about KC Tool.